If you’re on a quest to find the perfect Poodle names then you’ve come to the right place. No doubt you already know about what a great breed this is as well as it’s many virtues which are too numerous to count. But did you also know about the following? 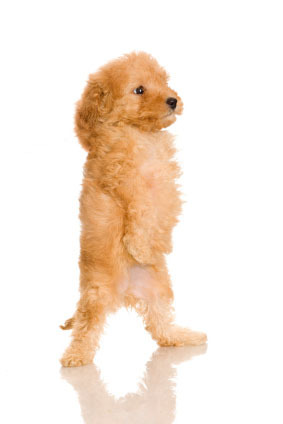 That the name Poodle originates from the German word “pudel” which means “to splash around in the water” which is no surprise as they were bred originally to be a water retriever. They don’t shed and are thus hypoallergenic. They've been raised to be circus performers as well as hunters of truffles, a mushroom delicacy. Proving that this is a breed not to be truffled with! They’re considered to be one of the most intelligent of breeds (the Border Collie is #1) which makes them easy to train. Here's a little help: Coming up with the perfect choice isn't always as easy as it seems, so try this...While checking out the lists of ideas on the following pages and others on our site come up with a list of yours and your families top ten favorites then ask your pooch which ones it likes best. You'd be surprised how well it will respond to some while yawn at others. Once you find the one your pal responds best to there's your winner! These suggestions for male are those that we felt would actually work well on a Poodle. Are certain choices better for this breed than others? You might not think so, but we think there are. Visit this page to see what we mean. Is your girl one of a kind? We’ll bet she is, that’s why these special ideas for the ladies are hand chosen for their one of a kindness. 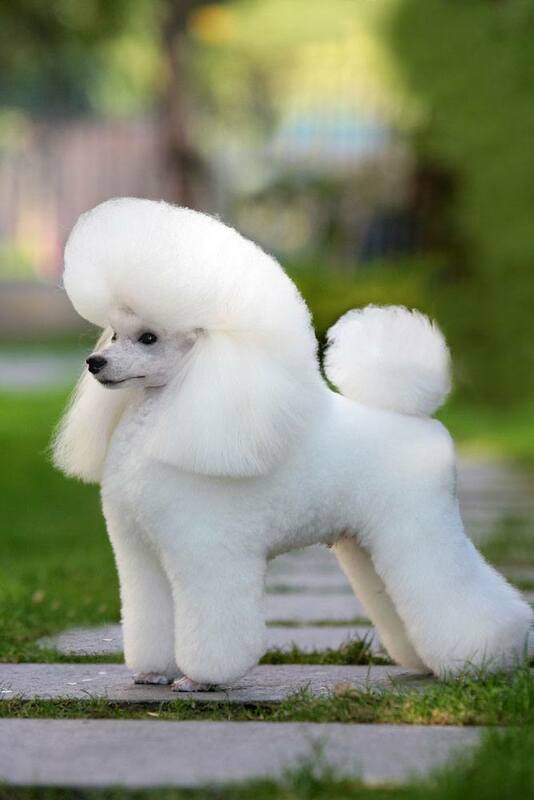 If your Poodle deserves the best, then start with a great title.